China has struggled to keep genetically modified foods out of their country, rejecting and even incinerating US shipments of corn by the boatload this year. But some of the seeds may have made their way in regardless, and it’s these US-made seeds that are being blamed for crop failure in the large eastern country. Police in the Hunan province have busted a seed smuggling case that may have contributed to the failure of 200 acres of corn in Tongdao last year. Called “US golden corn” by local officials, the seeds originate from giants like Monsanto and Syngenta. Most recently a smuggler named Luo Haihong was arrested, believed to have smuggled more than 500,000 tons of corn seeds into the country since 2003. “It brought out the case that genetically modified corn seeds had infiltrated China, and brought potential hazards to China’s food security, or even national security,” said Li Wenliang, a professor at University of International Relationships who says agricultural experts first detected the seeds. Some of the seeds are believed t have made it through customs by tourists entering the country. Others, from Hong Kong, are believed to have traveled to the mainland via truck and package delivery. In all, they have no idea just how many GMO seeds have infiltrated the Chinese agricultural system. It’s refreshing to see some countries take the threat of genetically-modified foods so seriously. So seriously, in fact, China turned shipments of US corn away from their ports this year at an unprecedented rate. Some 545,000 tons of U.S. corn has been turned away. 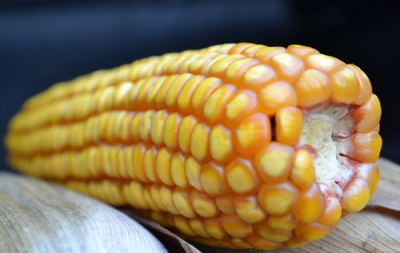 The corn is a particular strain—MIR162—which has been approved by the U.S., Japan, and Europe but is still under evaluation by the Chinese agricultural ministry. China, unlike the U.S., is taking a more measured approach on genetically modified foods, actually testing them for safety before approving them for consumption—a novel idea indeed. The amount of corn turned away at China’s ports this year was higher than ever. That’s partially because the country is now importing more corn than ever, and their steadfast refusal to open the gates to GMOs without sufficient testing should be commended. Yeah let’s all die together and not have any safe regions in the world. True death cult mentality. If only they would monitor their exports a fraction as well. I won’t even buy dog food that has the Communist Chinese label. Yep, Is anyone surprised by ridiculous Chinese claims? Crop failure? Come on. Yeah, and not appeasing the MoonDragon means poor rain.